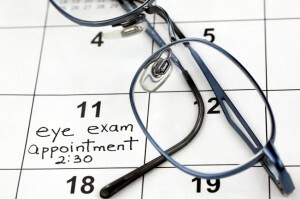 With so many choices in eye doctors in Medford, MA area, choosing an optometrist is not always an easy task. If you have vision problems or health issues with your eyes, you will need to see your eye doctor at least once a year, and you want to establish an easy, comfortable relationship with your optometrist. For this type of personalized care, you should look no further than the friendly and skilled professionals at Parrelli Optical. Offering comprehensive eye exams for adults and children, our eye doctors in the Medford, MA area address the full spectrum of vision and eye health needs. Not only do we screen your eyes so that we can optimize your vision with glasses or contacts, but we also check for eye diseases such as glaucoma and cataracts. Additionally, our professional team evaluates the structures of the eyes for damage, including the optic nerve, retina, sclera, cornea, conjunctiva, lens and iris. • Four convenient locations: With four locations in the Medford area, a qualified, experienced optometrist is just a short drive away. • Personalized approach: At Parrelli Optical, we enjoy getting to know our patients on a personal level so that we can offer compassionate care, and we always take your age, lifestyle and medical history into consideration when assessing your eye health and vision correction needs. • More than just a vision check: After our thorough eye health screening to rule out diseases of the eye, you will walk out of our office with more than just a prescription for glasses or contacts. You will leave with peace of mind knowing that we take your eye health and overall health seriously. For comprehensive eye exams, the best brands in contact lenses and the latest in stylish eyewear, contact Parrelli Optical in the Medford, Massachusetts area to schedule your consultation. At Parrelli, you are guaranteed to find eye doctors in Medford, MA who meet your needs for thorough, experienced and individualized care, and we look forward to serving you.